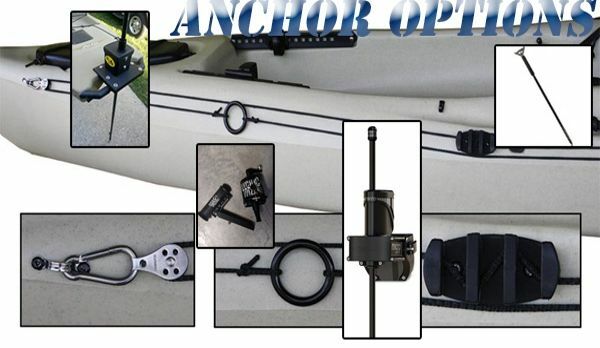 Most fishing kayaks these days come equipped with pretty much everything you need to get out on the water and start reeling in some big fish. However, as with any type of hobby, there is always room for improvements or customization. 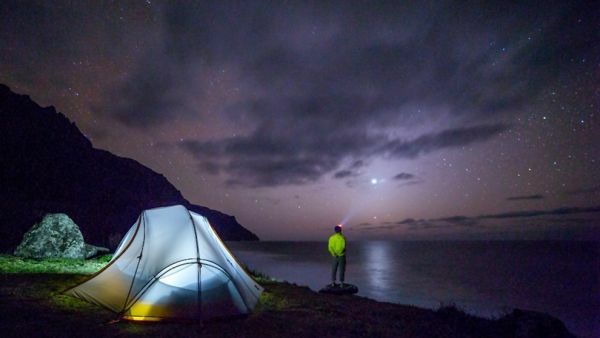 Whether you want to spend more time at your favorite fishing spot or finally have time to make a trip to explore some new lakes or rivers, there’s nothing quite like a kayak fishing camping trip. While none of the electronics available for fishing kayaks are essential for catching fish, they can increase your chances of success and make the trip a bit more fun. 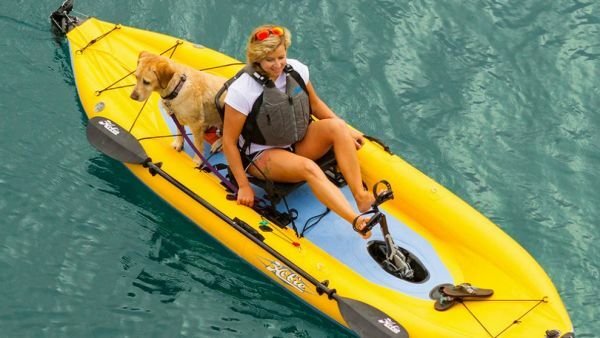 Owning a kayak is great for the freedom it gives you to go out on the water whenever time and weather permits you. 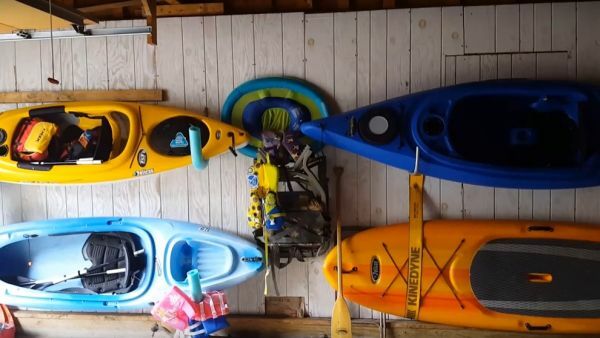 Unfortunately, most kayaks are also rather large, which makes storage somewhat of an issue when it isn’t in use. 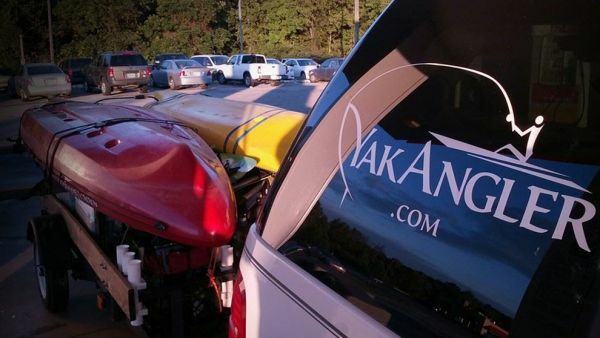 Unless you have a huge property with plenty of space to keep your kayak tucked away safely, you’ll have to make the most of what you have. 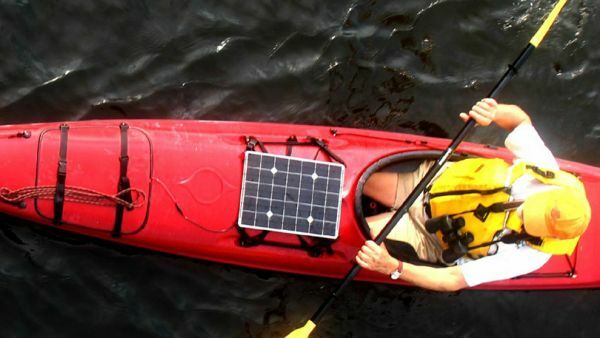 The following list shows the type of do-it-yourself approaches that kayak enthusiasts have come up with to keep their prized possessions out of the way and safe from damage. 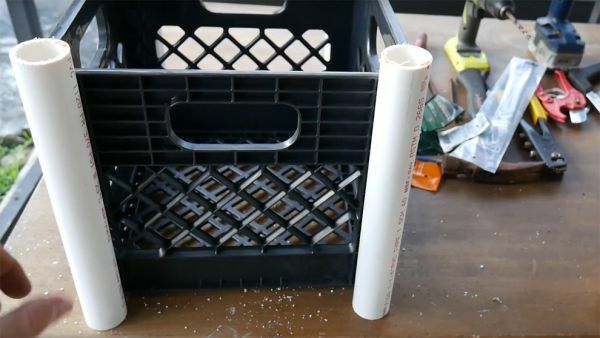 The humble milk crate is still a favorite with kayak anglers looking for a cheap and effective way to store gear or tackle within easy reach. However, if you are looking for something a little more sturdy and versatile, it is well worth checking out this great tutorial from forum regular, Aliex Folgueira. 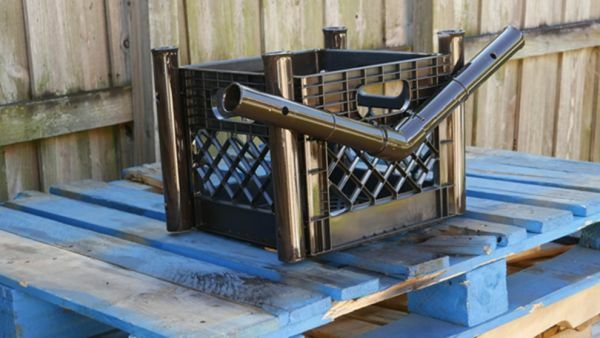 In the video he demonstrates how you can take an ordinary milk crate and turn it into something that not only looks good, but will also last you a long time.